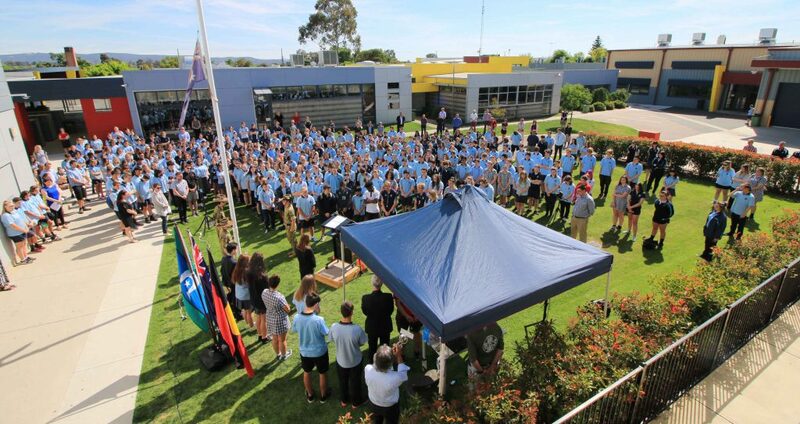 Year 11 Captains Anthea, Jye and Mykelti led their peers through a meaningful ceremony today to reflect on the loss and sufferings caused by all wars and conflicts. Koorie Student Chloe Sergeant gave the Acknowledgement to Country. 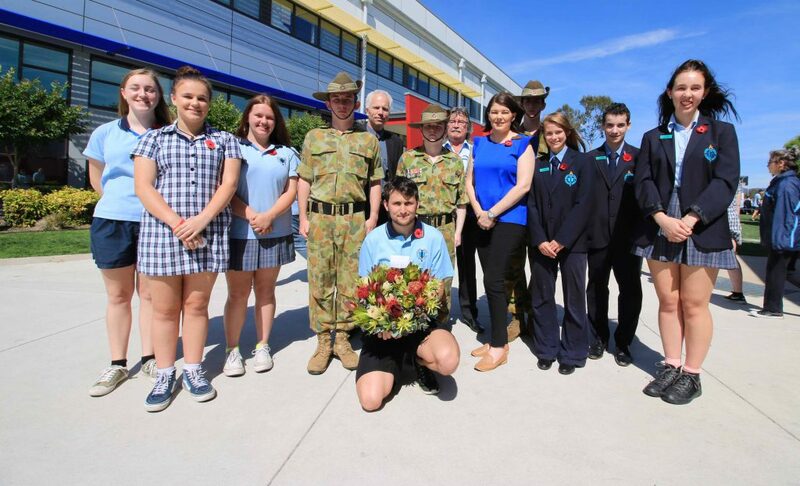 Our defence students were also involved, as Alyssa and Adelaide, recited Rupert McCall’s poem titled ‘The Pledge of Remembrance’ followed by the laying of the wreath by Zachariah and Caleb. Visiting bugler, Toli played the Last post and Rouse. Army Cadets Jayden H, Jaidyn W and Cameron who attend our college stood guard at the flag provided their peers a glimpse into Ceremonial proceedings for Commemorative ceremonies.